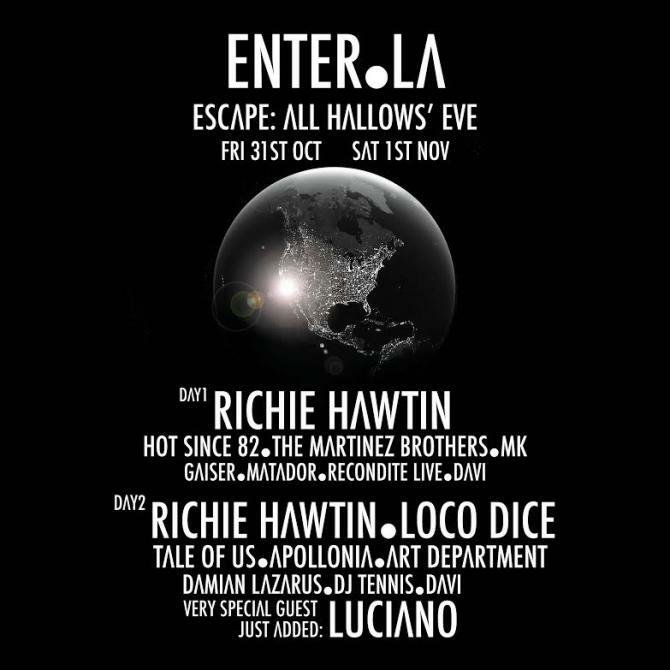 Luciano will be joining Richie Hawtin and a group of selected artists on Nov.1st for an exclusive appearance at ENTER. LA. The Cadenza boss has established himself as one of the very special guest to appear at Hawtin's Space Thursday residency every summer, and his gig at this year's Escape:All Hallows' Eve is one of the most anticipated of the 2014 edition.